Introduction: Why a Baitcasting Reel? These reels can be used by any angler, but if you’re just picking one up, know that you’re not going to be out zipping lures around like the pros. There is a learning curve, but if you can put in the practice time, you will find these types of reels to be some of the most versatile in the fishing world. Baitcasting reels are fantastic for a wide range of fishing techniques. The way a baitcasting reel is designed makes it ideal for using heavier lines that can handle heavier lures and provides greater accuracy during your casts. Speaking of casts, these reels can gain a lot more distance than other reel styles. Better accuracy is also achieved with these reels because of the easy handling as well as the ability to control line speed throughout the entire cast. Because of the layout of a baitcasters body, gears, and spool you can generate better cranking power without getting the inner machinery out of line. Because of this, baitcasters are much more efficient and landing larger game fish. As you can see, there are a lot of benefits to having a baitcasting reel in your fishing outfit. 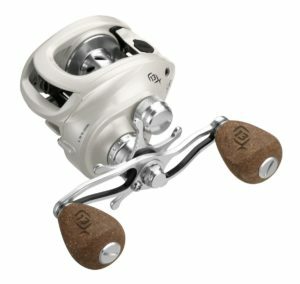 In this article, we will take a look at several characteristics you should have a basic knowledge of concerning this style of reel, and we will also look at our bait casting reel review for four models that catch our eye and perform flawlessly on the water. In the first section of this baitcasting reel review, we will take a look at several features and components that are found in all baitcasting reelsand discuss how to determine if a reel has the design and components that put it on a level of the best baitcaster. Materials: The only two materials you should see used in the body and frame of a quality baitcasting reel are high-grade aluminum or graphite. Graphite is much lighter than aluminum but is not as resistant to flexing and can’t produce as much cranking power. If you’re looking for a baitcaster on an ultralight rod for some creek bass fishing or use with panfish, than graphite is a better option. If you’re looking for larger bass or most other gamefish, we would recommend the stronger aluminum bodies. If you are going anywhere near saltwater, a full aluminum reel is the best choice. 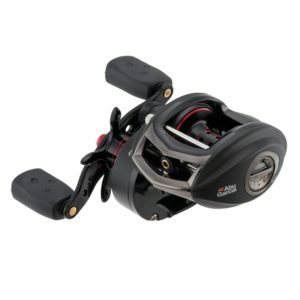 You will often find reels have a mixture of both graphite and aluminum body parts. What matters is that these components are pieced together well and can resist a lot of body flex and bending that occurs when working fish. Being able to resist these pressures makes a much better functioning reel. Spool Size: Your decision on spool size should be directly related to the type of fishing you have in mind. Any reel that you are looking at will have the amount of a specific line test that the spool can be fitted with. Of course, the diameter and type of line can vary between companies, so keep in mind that the reel might be able to hold a little more or a little less than what is listed. Bearings: Don’t get too caught up in bearing numbers, a lot of cheap bearings are inferior to a few quality bearings. Just about any reel that you pick up and turn is going to feel extremely smooth. Quality bearings become evident when they are working under a heavy load and have a couple dozen trips under their belt. It’s difficult to tell if quality bearings are used just by the number and type listed. It’s not the most optimal situation, but you can be confident that more respected and unfortunately, more expensive reels have higher quality bearings. You also want to see sealed bearings and corrosion resistance. This is especially critical if you are using the reel in saltwater settings. Gear Ratio: The ratio is given as a number such as 7.4:1. This number tells you that the spool goes through 7.4 revolutions per one complete turn of the reel handle. Baitcasters are built for more aggressive retrieval techniques, so you will mostly see gear ratios higher than you will find on spinning reels. Most baitcasters will have gear ratios on average around 6.5:1. Faster gear ratios are not always the best option as there is a tradeoff. As gear ratios increase, the cranking power often goes down. 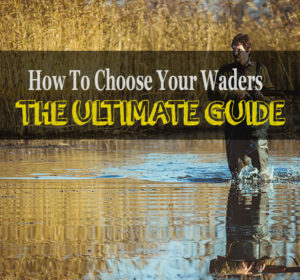 What you go with all depends on the style of fishing and the type of fish you plan on catching. You’re going to want a reel with a lot of cranking power if you are going after larger saltwater species, while if you plan on ripping crankbaits and spinnerbaits for bass, you will be more inclined to go with a higher gear ratio. Drag System: The drag system on your reel is something you want to pay attention to when deciding on a reel. Drag is the resistance that is put on the spool when line is being pulled off by running fish. There are key aspects that determine how efficient a drag system is on a reel. A common and harped upon characteristic of drag is the maximum drag pressure. While important to match higher max drag with larger fish, most often any reel is going to be able to apply enough counter pressure to stop a fish from pulling all the line off of your reel and tire it out. We believe that more important than max drag pressure is having a full range of adjustment from the least amount to highest amount of drag pressure. Being able to fine tune the amount of drag across the entire range gives you much more control when fighting fish and is much more efficient at landing them quickly. Also important is having a drag with low start up inertia where the drag is employed evenly and smoothly. If the drag is jerky when a fish engages the drag, you’re going to have a higher risk for line breaks, especially if the drag is not set correctly. Brake System: Baitcasters use a rotating spool which helps with casting distance and using heavier lines and lures, but it also means there is a higher chance for backlash and headaches. A braking system counters this by managing the speed of the spool when casting. There are two main types of braking systems that are used on modern baitcasting reels. These include magnetic braking systems and centrifugal (friction) systems. Usually, reels will have one of the two types of brakes, although some might have both. You will find arguments for and against both types, but for the most part; it is a personal preference. Even with a brake system learning to properly thumb the spool is critical in learning to control spool speed on the cast. Becoming proficient with this “manual” brake system is what will begin to give you full control of your reel. Tension Adjustment: The tension system puts physical pressure on the spool and adjusts its ability to spin. A lot of issue anglers have early in the learning process is not correcting the spool tension when changing lure weights. The tension should be used to match the spin of the spool with the size of lure you are fishing. The tension is not meant to be a breaking system, and if used that way is going to greatly wear down the reels internal components much quicker. By having the correct tension, casting distance and accuracy greatly improves. In this section, we will go through our baitcasting reel reviews for four different reel models that we consider to be in the running for the best baitcasting reel 2018. The REVO SX produced by Abu Garcia is available in standard and high-speed models. These are very affordable reels that offer tremendous performance and can definitely be considered the best baitcasting reel for the money. These are lightweight and compact reels coming in at 6.7oz. While lightweight they still offer some durability and ruggedness with aluminum alloy frames and carbon composite side plates. This gives you a very comfortable reel that makes casting all day a lot easier. There is plenty of cranking power available and the gear design and supporting structures allow it to function beautifully under duress of an aggressive fish. We love how this baitcaster feels in the water. 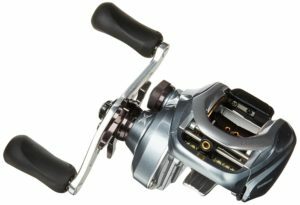 The SX models have a 9+1 stainless steel ball bearings and one anti-reverse bearing that eliminates most of the back play in the reel handle. The standard models have a 6.4:1 gear ratio while the high speeds get bumped up to 7.1:1. Retrieval is incredibly smooth and as the gear ratios imply, incredibly fast. The SX models have excessive max drags at 20lbs. For applications, this reel is intended to be used in,you’re never going to need the full drag to land a fish. We think the fine tuning of the drag could be a bit better, especially at the upper end of the drag range. You will be pleased with the low start up inertia, as this drag is incredibly smooth. The REVO SX models utilize a magnetic braking system that applies consistent pressure throughout the cast. It’s fantastic at controlling line speed and with some proper thumb braking, it greatly reduces the amount of backlash you will encounter. We also love that the brake adjustment is on the outside of the body and easily accessible. You’re going to have some issues with casting distance compared to other baitcasters in this article, especially when you get up to heavier weight lures. Overall. It’s extremely accurate when you have the proper tension adjustments and utilize the brake system correctly. The Daiwa Tatula is available in a myriad of models to match specific fishing methods including high speed, hyper speed, and high power. There are also type R models available that feature incredible retrieval speeds. These reels are going to be a bit more of an investment than others in this article, but few reels match the overall performance. Tatula reels are slightly heavier than other reels on this list with the full aluminum body with weights ranging from 7.6oz to 8.1oz. Even though these are heavier reels, they offer incredible corrosion resistance as well as cranking power, even though they also have incredibly high gear ratios. These are silky smooth reels and will remain that way through hundreds, and hundreds of fishing trips. All models have a 7+1 sealed bearing system. The bearings are corrosion resistant and provide incredible smoothness during retrieval and also play vital roles in supporting the digitally designed gear system. The anti-reverse bearing gives the reel absolutely no back play. The gear ratios and subsequent retrieval speeds on these reels are phenomenal. If you want a reel for fast and aggressive fishing, we can’t think of a better option. The gear ratios for the various models range from 6.3:1 up to an incredible 8.1:1! And as we mentioned earlier, what is impressive is that these reels can still dish out some cranking power. All Tatula reel models have a drag maxing out at 13.2lbs so you shouldn’t ever be in a situation why you don’t think you can stop a run. Diawa reels use a “UTD” drag system that uses oversized carbon washers which provide one of the most constant drags of the reels on this list. You also have full control of drag adjustments throughout the drag range. We love the casting performance of this model. The ergonomic design fits wonderfully in your palm and gives excellent control. The Magforce-Z magnetic braking system provides constant pressure throughout the cast and limits backlash, even with novice users. The T-wing line guide also plays a role in reducing the amount of friction of the line coming off the reel which further adds to the distance obtainable with this reel. The Shimano Curado is another high-performing but affordable low profile baitcasting reel. The Shimano Curado is available in 3 different models each with varying gear ratios to give you some options depending on your preferred method of fishing. Regardless of the model and gear ratio you go with, you will notice immediately that this reel can lay into fish and provide some heavy cranking power. All models have a 5+1 bearing system. Compared to some other baitcasters, this might seem like a low number, but these are high-quality bearings that provide an incredibly smooth reel performance even under duress. Shimano uses X-ship technology to help give this reel a smooth performance when cranking power is employed when fighting a heavy fish. All this technology means is that the gears have are oversized and optimized for consistent alignment and contact to keep everything rolling. The Curado also has an aluminum alloy body and aluminum, ported spool for durability. The side plates are a decent carbon composite that is used to cut down on weight. This design is optimized to cut down on body flex and loss of power when trying to work fish. Even though there is quite a bit of aluminum employed on these reels, they are still lightweight and easy to handle while on the water. This reel has a decent drag system. The maximum drag output is a little over 11lbs which some anglers might not be too happy about, but for bass fishing, this is usually more than you will ever need. The drag adjustments are sensitive, but there is a little jerkiness in the drag at the higher end of the drag range. Our favorite aspect of this reel is its casting performance, and there is a lot of technology and design that has gone into this reel to give you this tremendous range of casting. The spool tension adjustment is very sensitive and has a wide range of adjustments allowing you to use a wide variety of different sized lures. The only problem we have is that the line capacity is not the best and might limit you if you’re not able to spool high test line. The spool and line guide design also cut down on the friction between the reel and line, providing an extra few yards to a cast you wouldn’t have otherwise. The Concept C by 13 Fishing is a striking baitcasting reel that looks and performs like it should cost enough to need a loan, but fortunately, it’s affordable for most anglers. It’s not the cheapest by any means, but it’s a steal for the performance. First, this reel feels great in your hands and with a quality rod and reel seat, it is an absolute pleasure to handle on the water. The cork grips on the large 90mm handles are some of the most comfortable on the market and make technical casts and retrievals all the easier. The body and spool of this reel are made from aircraft grade aluminum and has also been double anodized making this an incredibly durable and tight fitting baitcasting reel. 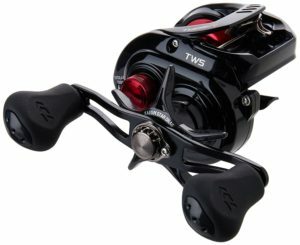 Though tough, it is also lightweight which further adds to this reels easy handling properties. The Concept C baitcasting reels are going to perform smoothly on the water when casting and retrieving due to the 8+1 bearing system. These are high-quality bearings that are stainless steel and also corrosion resistant. We also love the roller bearing that has no noticeable back play and allows you to make confident hook sets. The “Bulldog” drag system in the Concept C uses applies a constant and reliable drag pressure that works wonderfully. This drag can dish out an incredible 22lbs of max drag. It’s is incredibly smooth from its engagement throughout the fight and can be fine tuned throughout its entire range. Concept C reels utilize a centrifugal braking system that we think is one of the best available. It provides consistent spool pressure throughout the cast. The only complaint we have is that you have to remove a side plate to access the system for adjustments. There are quite a few model options with varying gear ratios, but they all have fantastic gear systems that will stay aligned and turning even under the pressure of monster bass. These are also incredibly smooth casting reels, as we briefly mentioned earlier. With the braking system, spool and guide design, and comfortable palm fitting design, you will also find these reels to be incredibly accurate when working with correctly paired lines and lures. We have listed and discussed four excellent models in our bait casting reel reviews that we know will perform on the water in just about any fishing situation. With that being said, we do have a preference for our pick for the best baitcasting reel 2018, and that is the Diawa Tatula. It’s one of the few baitcasting reels that we are aware of that features fast retrieval rates, but does not sacrifice cranking power. It has one of the best drag systems available and is a smooth and accurate casting reel. On top of all of that, it’s comfortable to use and is durable enough to last you for years when treated properly. There is nothing we can find that we have a problem with on this reel, which is very rare. The only aspect that can come close to being negative is the price tag. While we wish it were more affordable, after you handle it for a few hours in the water, you will know it was more than worth the price. Baitcasters, when used correctly, are one of the greatest tools an angler can have in the boat. We hope that this article has cleared up some of the mystery of how to go about purchasing a baitcaster and has provided four models that could easily be considered as the best baitcasting reels to get you started. I’ve 3 of the 5 you listed . Yes all 5 are very nice .. for me it’s super hard to beat out the fishing 13 concept C .. bass fishing over 30 years ..